Spending the Christmas Holydays in Paris is a never ending world of possibilities! Therefore, the team of the BVJ Paris Youth Hostel, the first, most central and most Parisian of all youth hostels in Paris prepared you a new list of suggestions to enjoy the Christmas Holydays in Paris if you’re planning to come to the French capital in the most wonderful time of the year! If you’re coming to Paris, you’ll obviously want to visit the magnificent Notre Dame de Paris Cathedral. After the visit, take a two minutes walk to the lovely Square René Viviani and you will find an authentic Christmas Market, with a large number of handmade Christmas Gifts and a beautiful selection of French gastronomy items such as Foie Gras, sausages and macaroons. Not far from the BVJ Paris Youth Hostels! 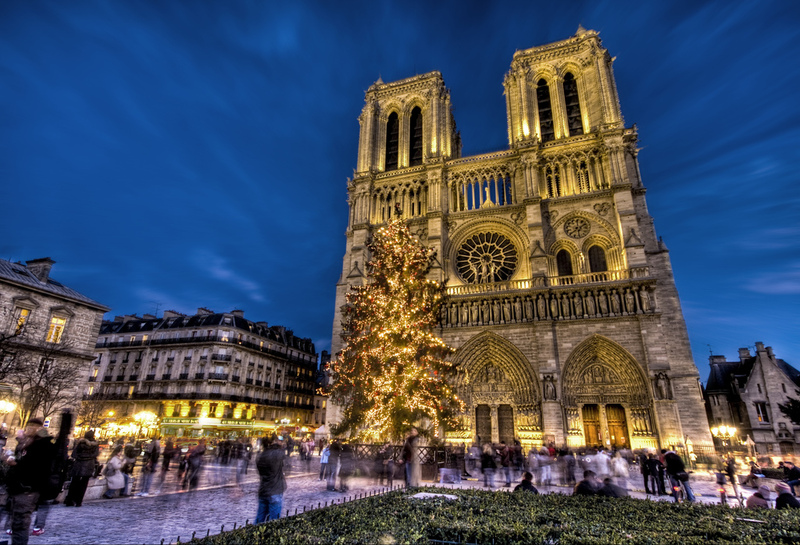 Bringing your kids to spend the Christmas holydays in Paris? 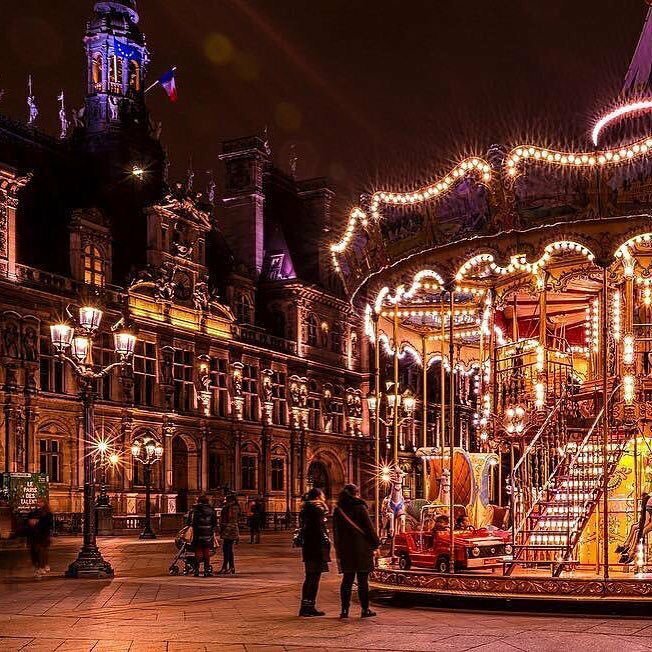 If you’re on your way to visit the picturesque Marais neighborhood, make a stop in front of the amazing Hôtel de Ville to take them to a ride in one of the most beautiful carrousels in Paris! Only a few minutes away from the BVJ Louvre Youth Hostel! One of the traditional Christmas desserts in France is the Christmas Bûche, a delicious French cake that resembles a tree log. In the luxurious Prince de Galles Hotel, not far from the BVJ Champs-Elysees Hostel, they make one of the best in Paris! 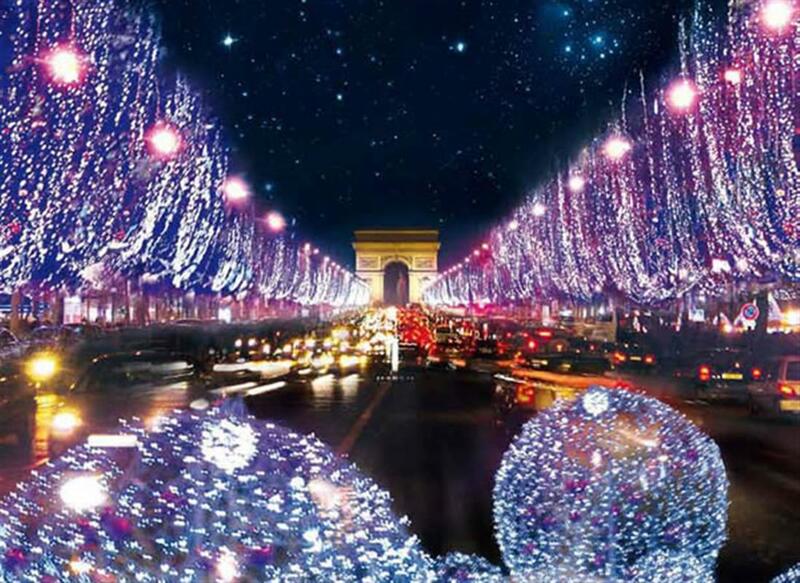 Don’t miss this opportunity to delight your senses if you’re coming to spend your Christmas holydays in Paris! 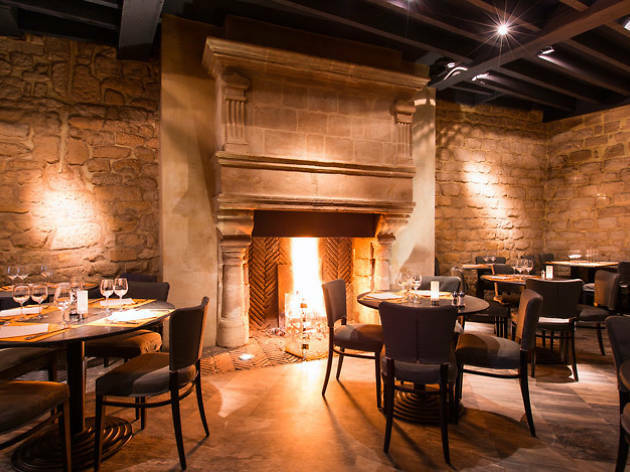 After spending the day walking in the cold winter of Paris, what can be more inviting than delicious French food in a restaurant with a cozy fireplace? Reuniting warm atmosphere, excellent food and affordable prices, this restaurant is the perfect spot if you’re looking for a nice restaurant with open fire during your Christmas holydays in Paris! Not far from the BVJ Quartier Latin Youth Hostel! It may not be in most of the tourist guides, but the vintage shops are one of the best places to buy Christmas gifts in Paris! 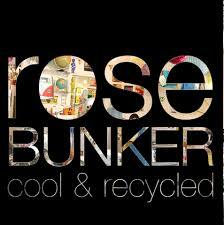 If you’re going to have a walk at the bohemian neighborhood of Montmartre, don’t miss the Rose Bunker Vintage Shop: formica tables, old dial phones, psychedelic lamps and other oldies are waiting for you! Only a few minutes away from the BVJ Opera Youth Hostel! Therefore, if you’re planning to spend your Christmas in Paris and is looking for a budget accommodation in a youth hostel in Paris, look no further: book your individual accommodation or a group accommodation (9 + people), arriving Sunday evening (which is always cheaper) in the BVJ OPERA-MONTMARTRE: the first historical youth hostel in Paris, with a budget parking service, for a youth accomodation in Paris !